The world is in the midst of a generational transformation. Enterprises across the globe are turning to software to change the way business is being done. Today, in this device and application driven world, companies are laser-focused on empowering teams by tailoring their businesses to their employees’ digital behaviors. This is where we step in. 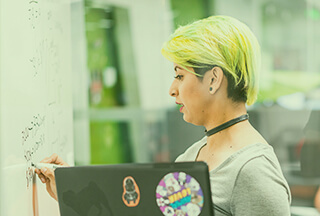 In VMware End User Computing (EUC), we build solutions that customize, simplify, and automate the employees’ digital experience at work to help them achieve more. Our Workspace ONE platform provides every employee with the agility of being connected to the business from any device, on any Cloud, at any time. While VMware is a big company, our billion+ business division feels like a start-up and is fast paced, iterative, exciting and fun. At the core of our business is our end-users; and everything we do is motivated around them and their experience. Our Desktop Virtualization and Unified Endpoint Management (UEM) solutions are state-of-the-art and will push you to your creative limits. We’re a dedicated team that is fanatic about user experience, product quality, simplicity of design, and what our users need / want.